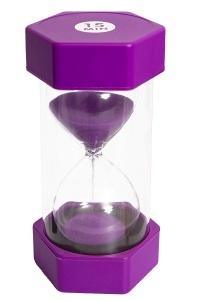 Ideal for activities that divide up into time intervals such as challenges, games, concentration, behaviour management, time out etc. 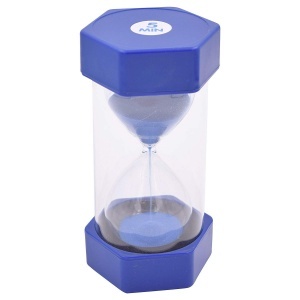 Sand timers add fun to many games by setting time limits and can help children overcome distraction in simple tasks: "You have a minute to get your books out/ write your name/etc. 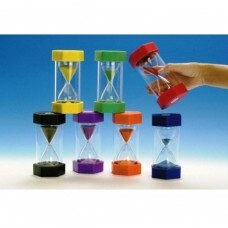 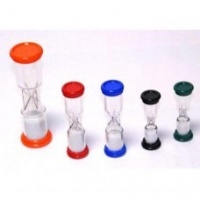 ", or "You have five minutes to finish that task..."
Mini Sand Timers for a variety of uses.